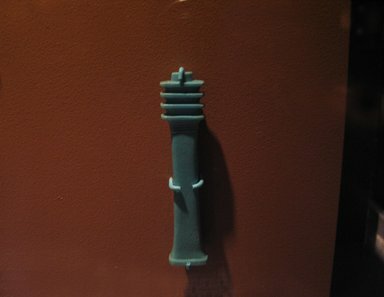 Pale blue faience Dd column as amulet. Plinth. Not pierced. Condition: Excellent. Glaze well preserved and object of fine workmanship.